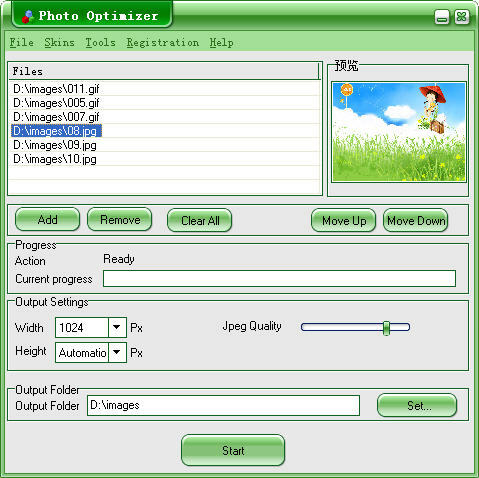 Compress, optimize, convert or resize GIF, JPEG, BMP, PSD, PNG, PCX, DCX, DIB, RLE, TGA, PBM, PGM, PPM, ICO, WMF, EMF, CUR and TIF digital photo images in batch. 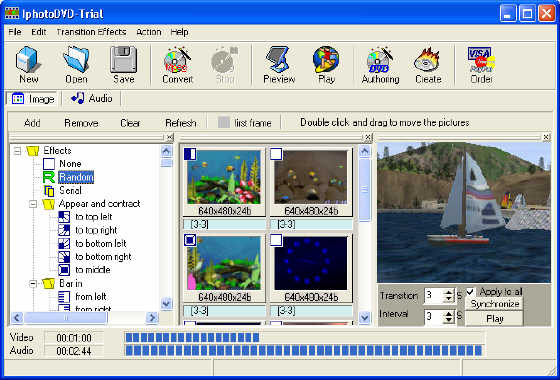 IphotoDVD is a powerful but easy to use utility that allows you to archive digital photos into DVD/SVCD/VCD compatible MPEG files with hundreds of transition effects. VSO PhotoDVD is the best DVD Photo Slideshow Software to create DVD's from your photos. Watch your pictures on any home DVD player. Share your digital pictures on a DVD with friends or family. Iphoto is one of the newest products from Keronsoft.com. It is the tool of downloading and presenting images from the web sites. There are a lot of web sites owned thousands of photos or pictures. Help you to customize your own photo frame and enhance your digital photo through frame,clipart and extra message.Provided with it, you have an effectual way to turn your photos into original and impressive creations. Pack photos into highly-compressed and browsable albums. You can protect album with password, extract photo, add slideshow, organize photo by date and name, add descriptions, and more!